The Lincoln Tavern is located at Knob Creek. Right next to a restored cabin that represents Lincoln's Boyhood home. 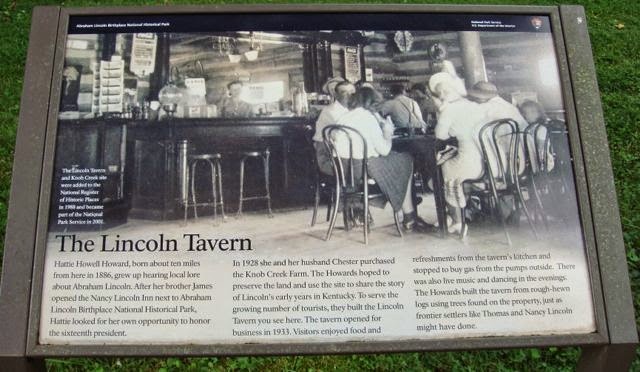 The tavern is currently closed while the park service gathers enough funds to repair the structure for safe tourism. Apparently, it has been there for about 100 years and is not so structurally sound. Traveling outside Lexington Kentucky, you can visit this site as well. 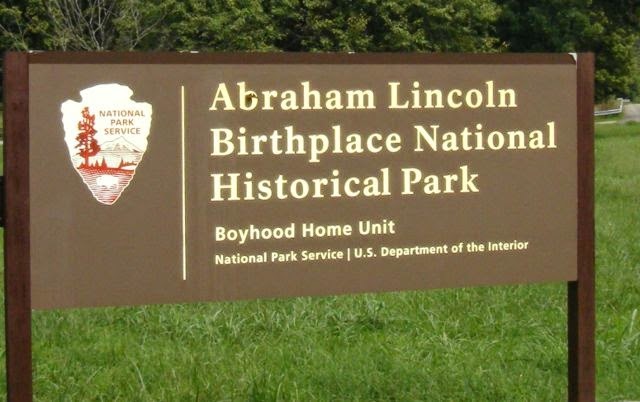 It is not very big, and there is a cabin to examine to see how honest Abe lived as a boy. 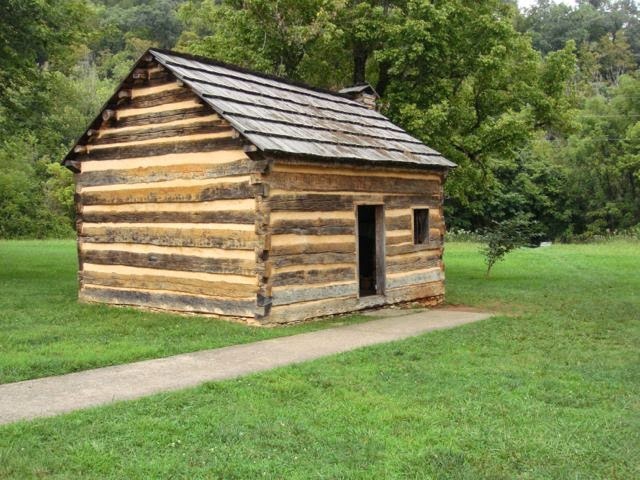 According to the National Park Service (Abraham Lincoln Boyhood Home National Park) the Lincoln Family lived at Knob Creek for 5 years before moving to Indiana. The Tavern, explained in the image above, still looks good today. The small Cabin and the Tavern are the only two exhibits I saw at Knob Creek. We almost missed it driving down the road. It has a small parking lot, and when we visited, there was a Ranger explaining the Cabin and the status of the Tavern. I so wanted to see the inside of the tavern, however, as I previously explained, it was not open to the public. This small one room cabin had a fireplace and a couple of other furnishings. To think, our 16th president started here would lend me to believe, you can accomplish anything if you work hard enough. In addition, I see how far our families have come, this small cabin housed his family for several years, and is smaller than my first apartment. In addition it is smaller than my current living room. After listening to the Park Ranger presentation about the boyhood home at Knob Creek, my wife and I proceeding down route 31 for the Birthplace National Park. It is only about ten miles down the road. We found the next park to be larger and had ample parking. Later, I discovered they are considered the same National Park, with two different "campuses". Both areas are set in the wonderful wilderness of eastern Kentucky. Both areas were easy to get to by car. 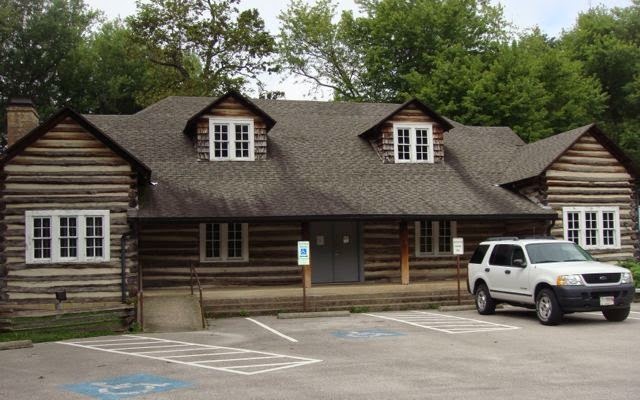 You are able to walk inside the Cabin at Knob Creek, and there are picnic areas at both locations. The restrooms at Knob Creek were closed while we were there, I do not recall why. The facilities at the Birthplace Unit and memorial at Sinking Springs are more modern. Inside the memorial building is a cabin from the same era. 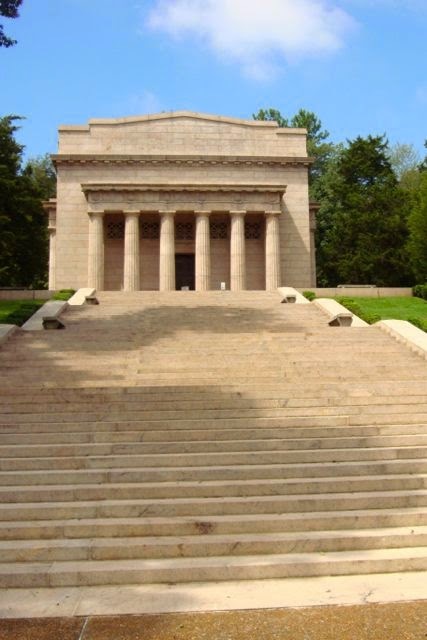 The actual cabin Lincoln was born in is no longer standing. All of the steps you see can be avoided by taking a raised Boardwalk around the visitors center to the back side of the building. In addition to the memorial building, there is also a spring to visit, which was there when the Lincoln's family purchased the farm. To imagine the time when Abe had to fetch water for the family and you get to walk along the same steps. Very interesting. When we visited the site, there were some kids completing a scavenger hunt provided by the Park Services. So if you are ever in Eastern Kentucky, not far from Lexington, go by and check out this great memorial and historical site. It is well worth the couple of hours you may spend walking around both sites.